It has been my contention for a very long time, that if we were to somehow remove the Indian influence on astrology, we would have precious little left at the end of the day. Moreover, this source of wisdom goes back to the sages who composed the first of the Veda, know as the RgVeda. This would take us back perhaps 6,000 years and we can safely estimate that the oral wisdom predated even that by a considerable period of time. It is thought that Zarathustra was a Vedic priest, which would speak to the far reach of the Vedic cultures which extended also well into what is now Afghanistan. The purpose of this article is to stimulate further research and increased dialogue with practitioners of ancient Indian astrology. However, it is merely an incomplete introduction and if it raises more questions than it answers, I shall be content with that. 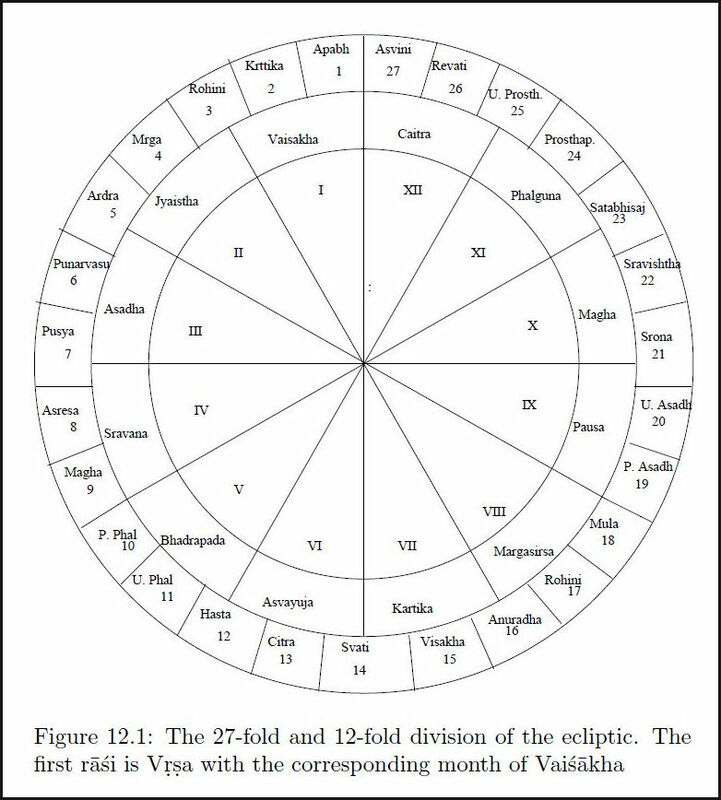 The title of this article is taken from Subhash Kak’s The Astronomical Code of the Ṛgveda (Third Edition) 2011 which has kindly been offered.to the public for personal use at no charge. 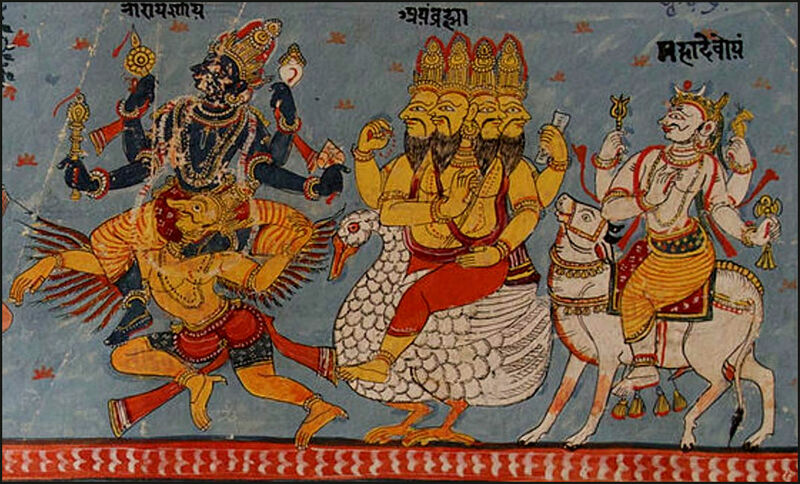 There are some splendid Western scholars Indian astrology, including such greats as Dr. David Frawley, James T.Braha, Hart Defouw, Robert Svoboda, Komilla Sutton, and others. At the same time, we can learn a great deal from Indian, Greek, Egyptian, Babylonian, Zoroastrian and another form of astrology as they exchanged knowledge in Alexandria. I have always seen this as a kind of alchemy wherein the end is much greater than its constituent elements. Many astrologers have found that Greek astrology, for example, seems to be missing pieces of the picture and this is complicated further by the fact that Greek astrologers didn’t provide anything like consensus to posterity. Nevertheless, the number of Western practitioners who welcome what ancient Indian astrology may have to offer them is minuscule. I suspect that one of the chief reasons for this is a lack of knowledge regarding the background and we stall at the difficulties of transference. Most obviously, it is difficult to ask even a seasoned practitioner to adopt one of the Sidereal zodiacs. The requires one to accept different Signs for the same periods. Also, the philosophy, mythology and indeed mysticism of Rahu and Ketu and immeasurable more advanced and developed than any Traditional Western system. 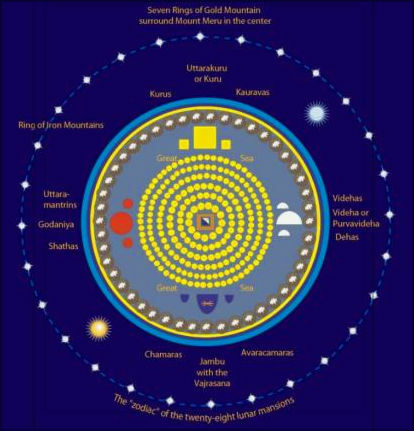 Again, one needs to go to the ancient sour es and attempt to understand a way of being that, according to scholars of ancient Indian astronomy, actually belongs in a different Yuga – one in which the gods lived on earth. The astronomical accuracy of the ancient rishis is astounding. In the ‘Hidden Mysteries’, publication, Osho states:: The deepest laws of astrology were first discovered in India,” says Osho while speaking about the origins of astrology and the relationship between the sun and the human body” Ch 5, Part 1 of 6. Oshos’s assertion is impossible to deny. There is simply nothing that comes close to Ancient Indian Astrology in terms of sophistication and astronomical accuracy involving virtually unfathomable periods of time.. This implies that all other schools of astrology owe their beginnings to that tradition. Of course, the fact is, we know very little about who these rishis actually were and even less about how they attained their level of knowledge. As is the case in Persian astrology, there is sophisticated interrelatedness between the Creation stories and astrology. In my mind, the Classical pantheon as related to astrology seems rather thin and derivative. Venus, for example, is a mere caricature of the goddesses of India, Persia and the Middle East. Writing on the Nodes in the Western tradition are mostly vague and never very useful. It’s painful to read William Lilly fumble over the meaning of the Nodes. It is entirely understandable that any reader that he isn’t quite sure what to do with them. Personally, I prefer to try things out for myself and I can say that no western writer has been as clear and profound as Indian ones with regard to that topic. One can, however, take what one has learned and apply it in the spirit of its significance rather than. with recourse to dogma. Indian and particularly Hindu culture is one in which nobody is held to account for worshipping and thinking what they see as truth. India is unique in this respect and is always amenable to diversity. Dr. David Frawley writes”India’s vibrant democracy and diversity of spiritual and religious practices is owing to its Hindu majority culture and the vast rishi and yogic values it is based upon.” This quality ought to suggest relative ease in incorporating Indian wisdom into Western astrology. As mentioned above, there are in fact significant hurdles today, which would have been far less so in antiquity. “The Vedic system of knowledge, with an assumed linkage between astronomical and terrestrial events, implies a system of astrology as well. The planetary periods [sic] evidence from the Rgvedic code is at least a thousand years before such knowledge outside India. 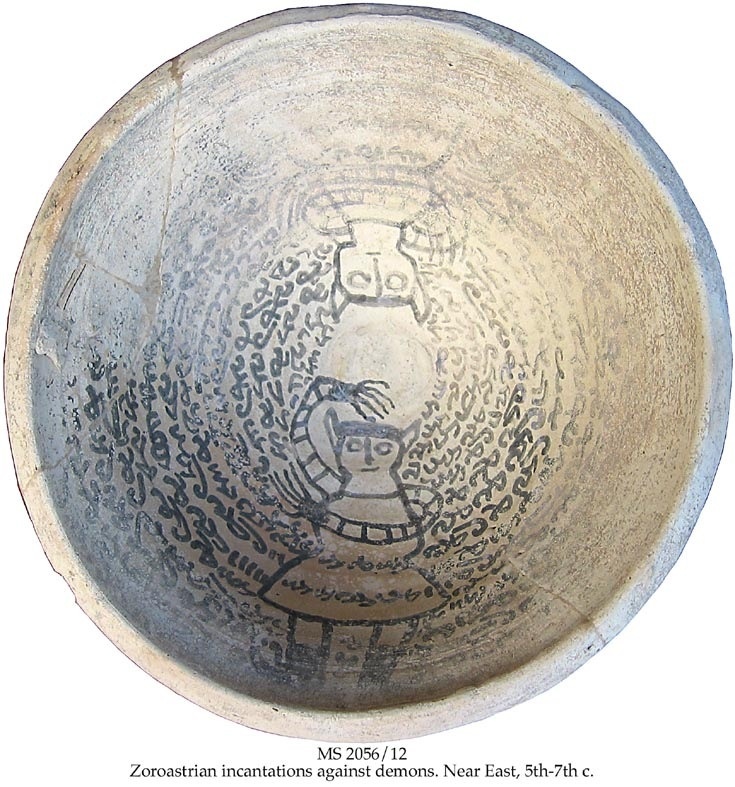 With these dates and the attested presence of the Vedic Indians in West Asia in early second millennium BCE, it becomes easy to see how the astronomical ideas of the ¯re altars and the Rgveda could have been transmitted to Babylonia and Greece.” (See Subhash Kak. 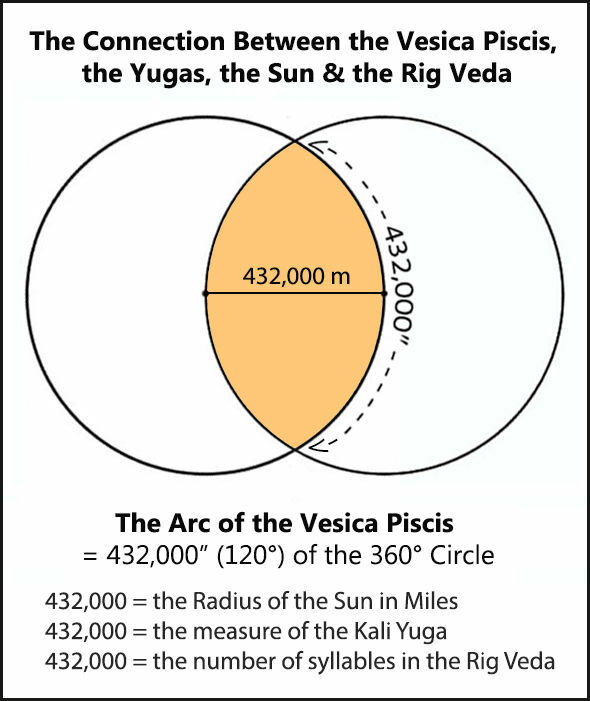 The Astronomical Code of the Ṛgveda (Third Edition) 2011. 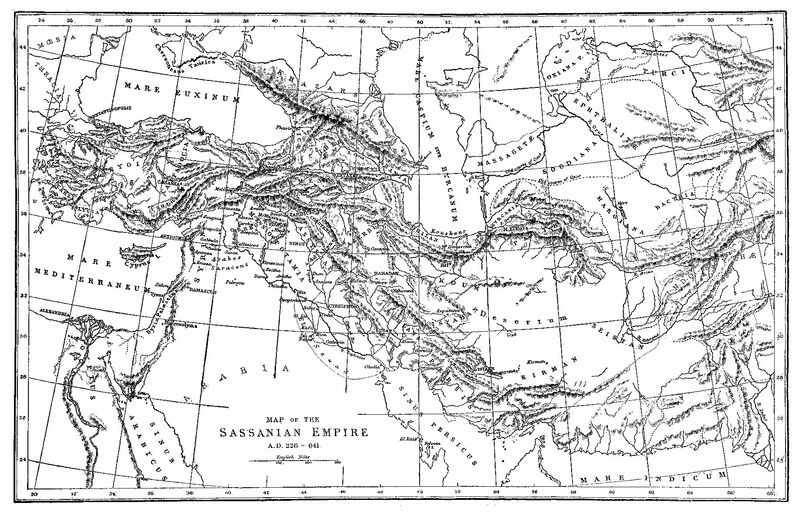 In later times, there was a reverse influence, notably from the Greeks and Persians. In the Rigveda, reference is made to a certain constellation of the stars which could only have occurred ninety-five thousand years ago. 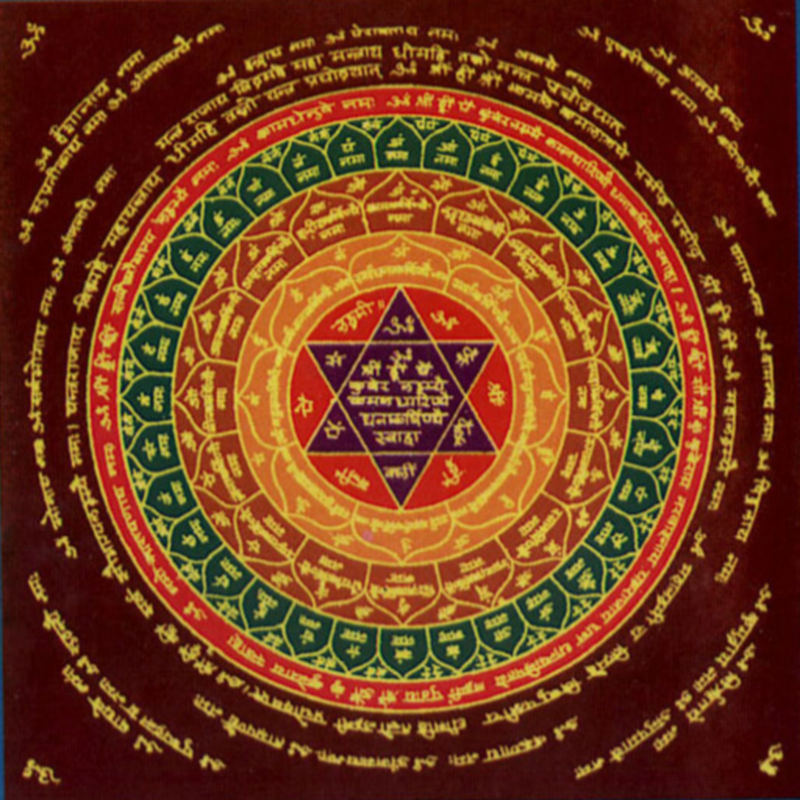 Because of this, Lokmanya Tilak concluded that the Vedas must certainly be even more ancient: the constellation of the stars as the Vedas described it could only have occurred at a certain moment ninety-five thousand years ago so that particular Vedic reference must be at least ninety-five thousand years old. To accept this, we would have to radically change our concept of history – yet this ancient constellation would have to be accounted for. What possible reason could there be for the writers of RigVeda to invent such an elaborate fiction? Conversely, If we accept the internal evidence, we would have to admit that our knowledge of the distant past is sadly lacking. The 27 Nakshatras are roughly equivalent to the Lunar Mansions (28), except the Nakshatras are considered far more in modern Indian astrology and I suspect this goes back a very long way. A Russian by the name of …. discovered that rishis were aware of an 11 years cycle in which the Sun produced a massive explosion. He realized that the cycle was immediately connected to human life. He got into trouble for suggesting that revolutions and other major upheavals mirrored a corresponding Solar disturbance. The point here is that the outer Universe was known to be inextricably connected to all forms of human life which is the most basic definition of ancient astrology. Pythagoras traveled to India and Egypt and was particularly impressed by spiritual practice and beliefs he found in India. From the record we have, which is by no means comprehensive, his theory of celestial correspondence appears to beat in part indebted to the essential knowledge he discovered there and that this provided the impetus to develop his own system. It should be understood that this modest article does little more than point to the relevance of the Rigveda and Indian astrology. However, there are some things that the western astrologer can learn from Indian astrology and indeed the Vedas themselves. Most importantly is the spirit of ancient Indian astrology. It is immensely practical and deeply mystical. At this point in history, I am somewhat pessimistic about Indian and Western astrology can incorporate each other, but that is no small part due to the changes that have come to be in the unfolding of Indian astrology itself. The simple case of the sidereal and tropical zodiacs is one such barrier. In a subsequent article, I will look more closely at how the rishis were able to achieve such extraordinary accuracy with respect to the length of the years, the yugas and planetary cycles. At least as interesting is why the felt they needed to map such massive periods of time. Münster Cathedral’s astronomical clock. Detail. I have written quite extensively about the importance of the stars and astrological practise in Judaism and Islam as well as in non-Abrahamic religions, such as Zoroastrianism and Hinduism. Here, I examine many of the same themes from the point of view of Christianity. I’ve been pondering this for a while now because authentic astrology has been under attack by both theologians and scientists for centuries, yet neither has taken the time to discover what astrology actually is. This makes this task a difficult one in which there is always the chance I will end up preaching to the converted. To begin, I would like to distance myself from the various strands of the Zeitgeist Movement, that effectively attempts to destroy Christianity by discrediting it, claiming it is just one more Solar cult meant to deceives its followers for the benefit of an elite group. The gist is that a Solar cult was projected onto Christianity, rendering events such as the birth of Jesus as well as his Resurrection to be fabrications. Having said that, even people that are usually wrong can sometimes be right. It is nevertheless not a fruitful manner of investigating the relevance of stars in scripture or how they may have been read. At any rate, I do not believe that astrology is for everyone, which, other than air, shelter, water and food, is true of everything else. Astrology is a kind of consciousness, one that engages in the language of the stars, from which we came, to explain and reveal certain realities. The stars do not make people do anything, any more than a clock makes time. For those attuned to the Uranian Muse, the message of the stars is an inexhaustible mine of wisdom. Very often the most difficult thing to communicate effectively is that which others think they already know – even though they do not. 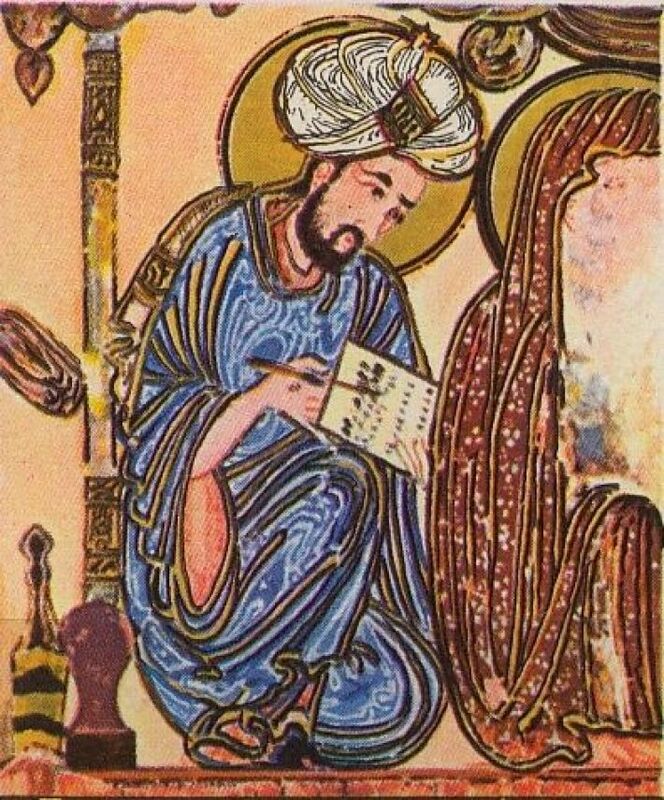 The idea that astrology is inherently incompatible not only with Christianity but also with reason and science is taken for granted as if someone had proven it very long time ago, I suggest a willing suspension of disbelief be maintained while the subject is examined. The worst obstacle to grasping the essence of true astrology is dished up every day, in virtually every newspaper. The Sun sign column is pure fraud and meant only to entertain and thereby sell more newspapers. It really has nothing in common with authentic astrology except that it refers to the signs of the zodiac. Scientists such as Richard Dawkins dismiss astrology with spectacular arrogance and utter scorn as if they had had actually disproved it. Dawkins is a well-respected scientist and obviously well versed in the procedures of the scientific method. Nevertheless, he claimed he had discredited astrology for all time by conducting the following mockery of the same scientific method. He cut out the Capricorn entry from the Sun Sign column in the Manchester Guardian and read it to less than 20 passers-by. He asked people at random if the column was accurate, although only a few of the people were actually Sun sign Capricorns. Dawkins received mostly luke-warm responses, the majority of which were uncertain. As a result of this travesty of the scientific method, Dawkins claims himself triumphant and moves on to discredit homeopaths. I’m quite familiar with negative opinions of astrology ranging from skeptical to scathing, but I’m particularly disappointed when a scientist refuses to employ their own methods to arrive at a conclusion, rather than falling into the pit of prejudicial opinion. I believe Dawkins in spite of his intelligence is not so different from fundamentalist religionists – both believe that their understanding and perception are the only viable ones available and all other beliefs are the subject of contempt. Sometimes the belief is so strong that the contempt can afford to be polite. The seven planets with their associated symbols, within the four winds. 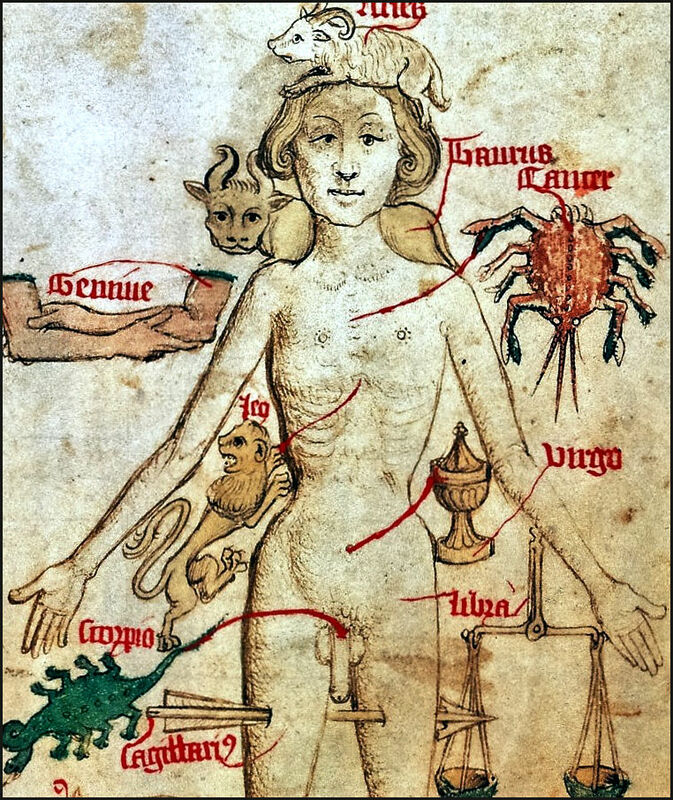 – 15th-century astrological woodcut. Most religious people are opposed to Astrology because they don’t know what it is, yet believe it to be forbidden in scripture. 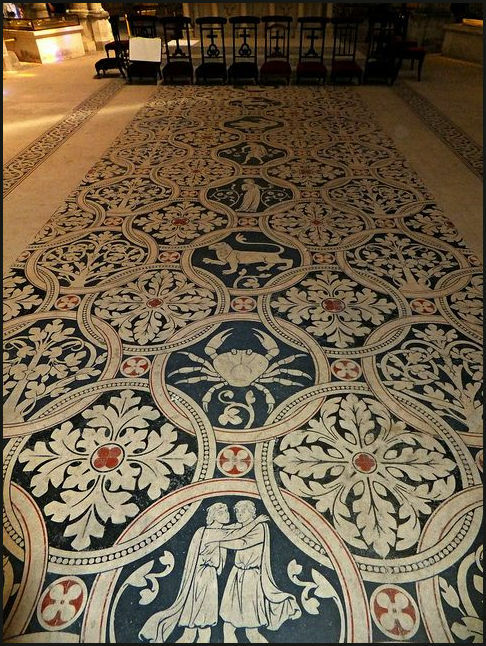 I wonder what these people make of the cathedrals of Europe, so frequently and lavishly decorated with astrological symbolism. I have to assume that when even Catholics are persuaded that it is forbidden, that they have not read the Church Fathers or the likes of St. Thomas Aquinas. I also have to wonder why they never asked why most of the Popes, until recent times, had astrologers. This is what we find in scripture regarding the stars and signs. “God created the stars (Gen. 1:16) and positioned them in their precise position in the universe (Ps. 8:3). Stars were, “for signs and for seasons, and for days and for years, in the expanse of the heavens to give light upon the earth.” (Gen. 1:14, 15). It’s very personal. The stars all have names: ” He determines the number of the stars and calls them each by name.” (Ps. 147:4). The Tanakh is replete with astrological references, as demonstrated in the work of Yaakov Kronenberg. Although Christianity as we know it takes a myriad of forms, the single best generalization is that is in fact, Pauline theology. Most of the references to astrology are found in what Christian refer to as the “Old Testament.” In the New Testament, Paul is offered as a key source of the condemnation of astrology. But even here, the names give – such as fortune teller, sorcerer and so on, betray a degree of superstition beyond what could be said about what Paul fears. The theme is “God wouldn’t like that because it’s his job.” The case against astrology in the NT is exceedingly weak and based on misinterpretations. To place an astrologer with sources and necromancers is both silly and lazy. This is among the most beautiful prose written by Paul and it takes quite a leap to imagine he is discussing astrology. As it happens I agree with him on all points. Nevertheless, the crux of the matter is that Paul and his ilk were responsible for a great deal of destruction in the Pagan world, including the destruction of the Temple of Artemis. Frankly, he isn’t a very reliable source and the apostles, Peter and James among them, were disturbed at his interpretations of a teacher he had never met, that had been a companion to them for several years. Be that as he may. Paul tells us he is “all things to all men” which ought to prepare anyone before reading his Epistles. There is an enormous amount of scholarship which answers to these very reasonable questions. Let’s get to the core of the issue. I for one would never refer to myself as a “fortune teller” and most certainly, not a sorcerer. Seasoned astrologers with an understanding of the basis of astrology, do not pretend to predict the future of anyone. We deal with what the Tibetan Buddhists refer to as “causes and conditions.” This is precisely what we read in the Nativity. To indicate medical predispositions, forms of creativity and particular interests, strengths and weaknesses. Imagine that you have a collection of seeds and you have been trained by guidance and experience to identify them. With that knowledge, we can infer how the seed will grow and in what kind of soil. Imagine again, that you are a meteorologist. Predicting weather is not considered as “fortune telling.” The use of this term when applied to astrology is an attempt to discredit but says much more about the accuser. It shows that he has no real idea about what he is dismissing. Astrology has several forms. We have Electional Astrology. This is extremely difficult for a number of reasons, but it can provide the most auspicious moment to do something. I agree that this has a spiritual dimension, but in essence, this isn’t much different than consulting the meteorologist to find a sunny day for the wedding. What we do is much more detailed, but again this is not fortune telling. Medical Astrology is particularly useful. It tells us what kind of vessel we have to navigate through our lives. It also shows weakness and therefore allows for the avoidance of some kinds of food or activity. astrology and Medicine have worked for hand in hand since the earliest times. 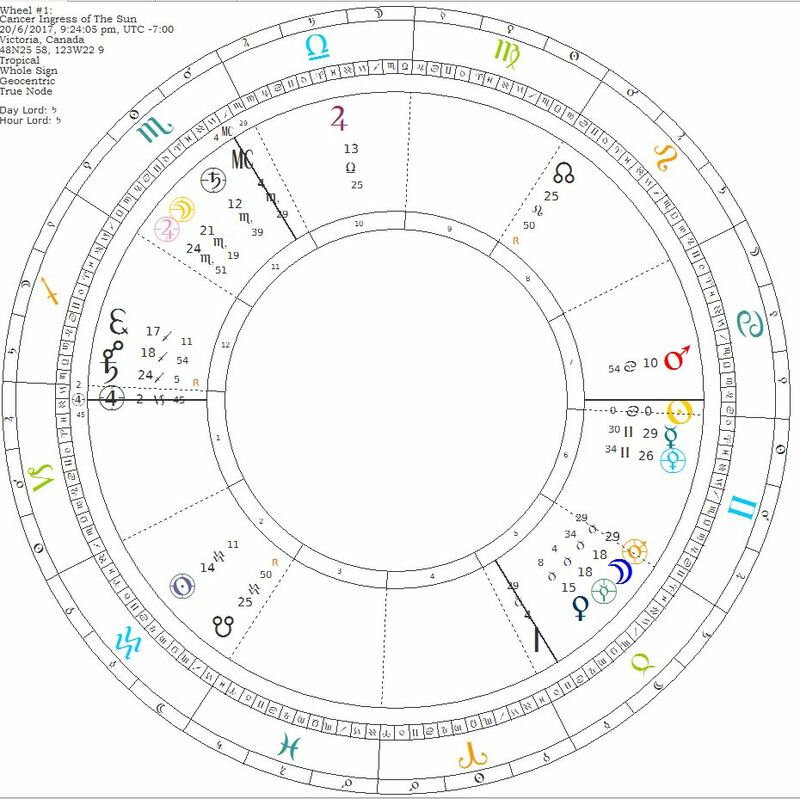 Modern Mundane astrology takes different forms, depending on which tradition is being utilized. I believe a great deal of humility is required lest we become Icarus, falling from the heights of hubris. This leaves us with Horary Astrology. This is a most peculiar beast. It allowed William Lily to find out who had stolen his fish and Portuguese onion. Horary is good for finding things and it responds best to yes, no or were questions. It might be compared to hiring a cosmic private investigator – but it isn’t fortune telling. The tragedy of the misunderstanding of what astrology actually is therefore found in the Epistles of Paul and in the popularization of the newspaper horoscopes. None of the forms I have discussed above would be any more evil than meteorology, medicine or But the illusion persists. What little souls don’t understand, they call evil or simply “unscientific.” even though a rigorous, scientific enquiry has never been conducted. Moreover, it may never take place because of the essential elements of astrological practise are ignored or misunderstood. One would think it would be obvious that no intelligent person is likely to believe that space rocks determine human destiny. Sadly, such is not the case. yet this globe is in space where there is no above nor below. Many people who are familiar with Indian Epic the Ramayana, will recall the many deeds of Ravana, including the capture of Sita. Less known are the extraordinary feats of King Maya. According to the legend, the Hindu Sun god, Surya, imparted highly specific knowledge of the universe to Maya. The series of treatises on that subject is known as the Surya Siddhanta. It is the most ancient book on astronomy believed to exist and it’s alarmingly accurate. In the history of astronomy and astrology, it is a key document of inestimable value. To define our terms, Surya is the Sun or Sun god. Solar deities are ubiquitous for reasons that are plain enough. Without the Sun there is neither light nor heat, rendering life impossible.. It has become increasingly apparent, with the re-discovery of Hellenistic and Arabian astrology that we don’t have all the pieces. Without the study of Persian and Indian astrology, metaphysics and astronomy, we are missing elements that cause the relative break down in later systems. I notice this often in the venerable Greek texts, where I’m not alone left wondering what on earth the writer was thinking. Moreover, some of the techniques handed down to us from these sources lack consistent credibility. Some appear to be next to useless after decades of experimentation. It would be quite impossible of course to do more than provide an introduction to the Indian systems and to point to particularly relevant sources of influence. 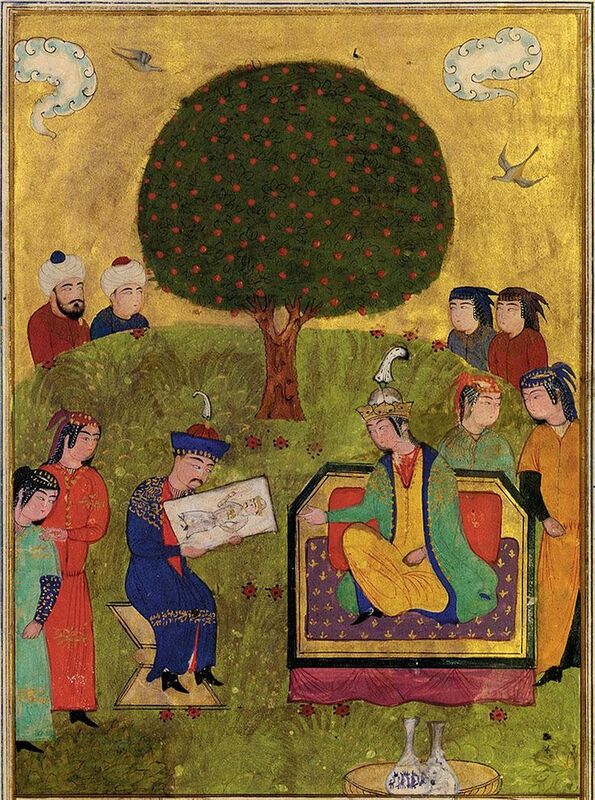 I believe the greatest synthesis of early astrological synthesis was achieved in ancient Persia. 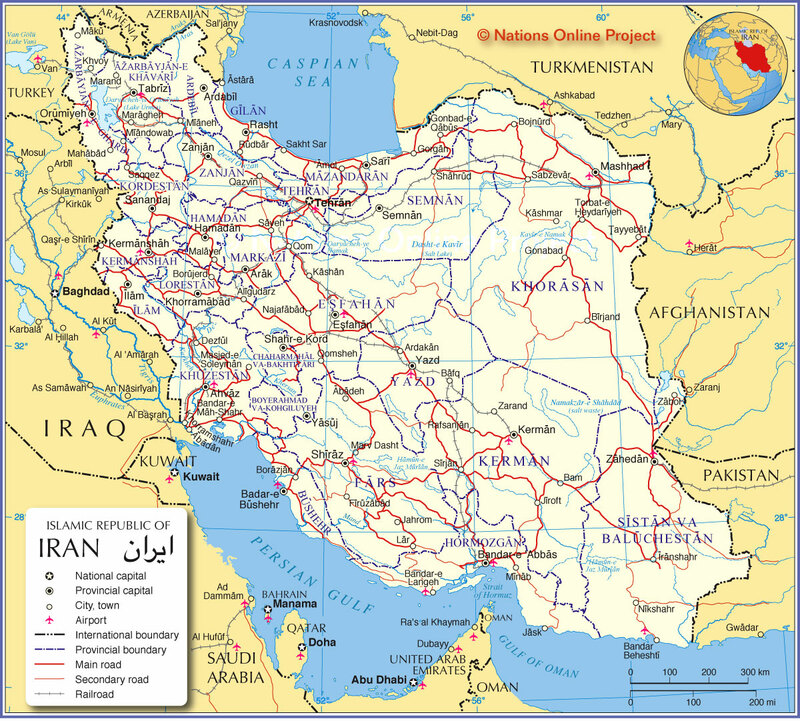 This is only natural as Persia is like a geographical bridge between the Hellenistic, the Babylonian and Indian. This is the first of what I anticipate will be three articles. Western culture, beginning with the Greeks, developed a taste for, and some ability at, writing more or less objective histories. Cultures who valued reason and logic over the mythological have strong advantages and many disadvantages. Indians did not make absolute distinctions between history and mythology and appear to have been particularly adept at finding a way for reason and mysticism to flourish. 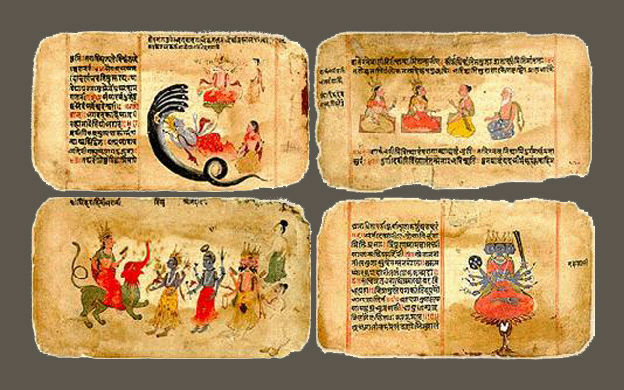 The Vedas were never considered ‘fiction’ as such. A linear narrative has no place in this view and in fact, most Indians believe the Vedas have neither a beginning nor an end. They are immortal. They are spiritual. They offer practical guidance and even mathematical knowledge. At the same time, the age of the universe is the age of Brahma. The easiest way to realize the difference, which I have admittedly simplified to some extent, is to ground the understanding in the infinite, a reality in which the temporal is subordinate to the infinite in all respects. The infinite is, of course, the source of the temporal, but Western culture became amnesiacal about this a very long time ago. Logical categories can be helpful but they can quickly become nothing more than cookie cutters. This system attempt to reduce the complexities of human existence by making things appear to be smaller, more manageable and separate from each other. However, consolation is not always the road to truth. 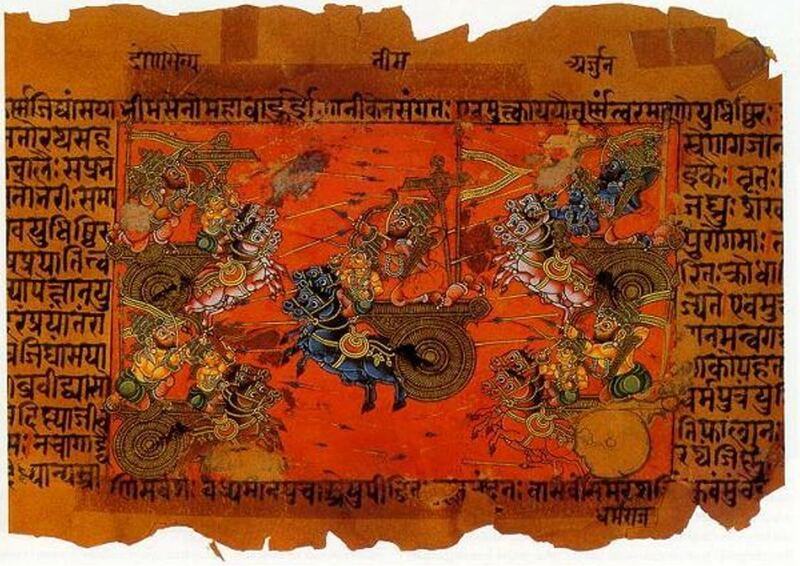 The Surya Siddhanta is a treatise on traditional Indian astronomy, said to date back over 1500 years and attributed to Mamuni Mayan, a Promethean hero in Tamil culture. 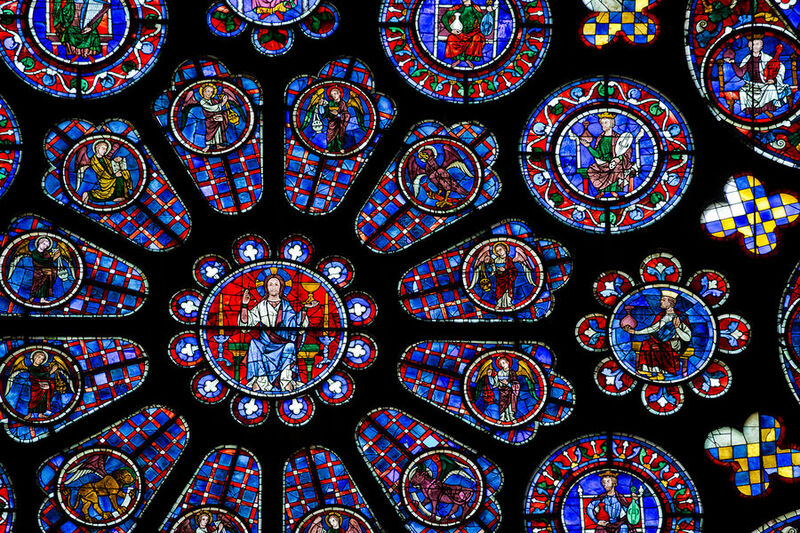 There is a vibrant tradition that tells us the work is 2 million years old. Be that as it may, it forms the basis of the Hindu and Buddhist calendars. Subsequent mathematicians and astronomers such as Aryabhata and Varahamihira frequently referred to it. 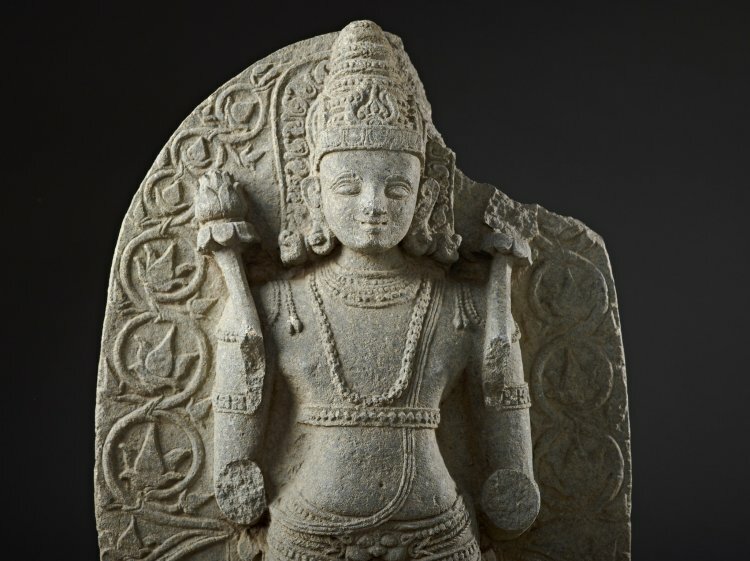 In his own work, entitled Pancha Siddhanta, the esteemed Varahamihira,, besides the Paitamaha Siddhantas (more or less identical to the “classical” Védanga Jyotisha ) of Siddhantas Paulisha and Romaka (directly inspired by Hellenistic astronomy ) and Vasishta Siddhanta. Varahamihira was one of the only renowned Indian Astronomer, Mathematician and Astrologer whose name became familiar throughout India. The book Surya Siddhanta has clearly been reworked more than once. However. it is not impossible that there was a volume with the same title from the Mauryan Empire, providing a date sometime in the third century B.C. in southernmost, including what is now Sri Lanka. Al Biruni’s India is a rich source of astronomical knowledge in India at that time. 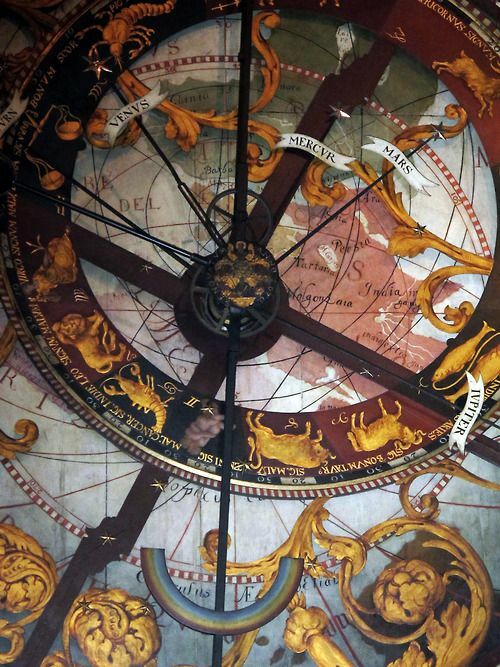 Of immediate interest to the student of the history of astronomy and astrology, we are provided with rules allowing us to assign to the stars movements in accordance with their position in the sky. It provides the positions of several different stars of the lunar nakshatras and even addresses the calculation of the solar eclipse. In the upcoming series of articles, I intend to look closely at some core elements in the Surya Siddhanta in light of astrological theory. One such element is the importance of the Nakshatras. It is these massive periods that have left many astronomers aghast, although the late Carl Sagan was fascinated by them. We do, after all, look through a glass darkly and the ordinary human mind is not equipped to deal with concepts such as infinity or to fully grasp the significance of the knowledge that the light of stars that died a million years ago that haven’t reached us yet. What we are seeing in deep space is the distant past. This painting from a manuscript depicts the Sun and Moon. The deer is associated with the moon in Indian culture and often used to symbolize the Moon in pictures. 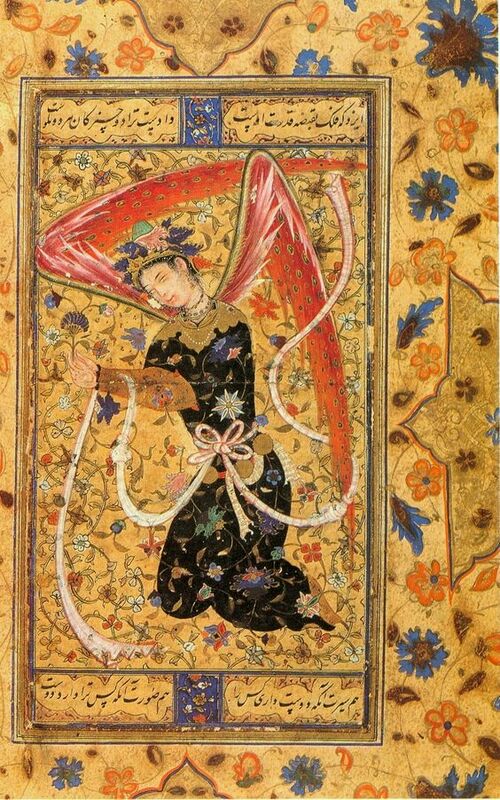 Image by British Library (copyright CCO 11,1 Creative Commons). The Solstices and the two Equinox are of great significance. 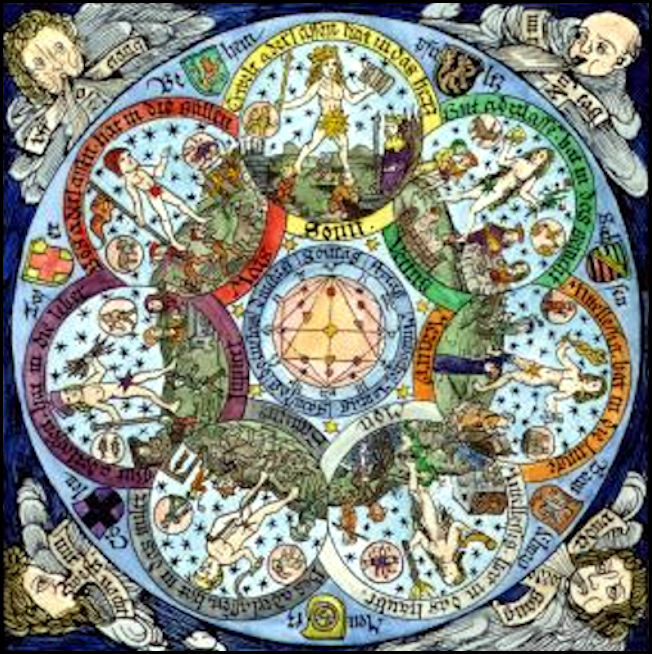 For Mundane astrologers, they are consulted along with the ingress of the planets, eclipses and a variety of other elements, depending on exactly what is being sought. The rule has it that Fixed Signs signify a longer period of the effect than Cardinal, and Mutable is even shorter. A Solstice or Equinox chart is valid for the season it heralds. Most obviously, each season is greeted by a different element. All are in Cardinal Signs. Cardinal initiates. Aries is Cardinal Fire and heralds the Spring, Libra heralds Autumn & Capricorn, winter. Along with these markers of the seasons, there are some interesting elements that are seldom considered. For example. Capricorn is the Detriment of the Moon and Libra is the Fall of the Sun. 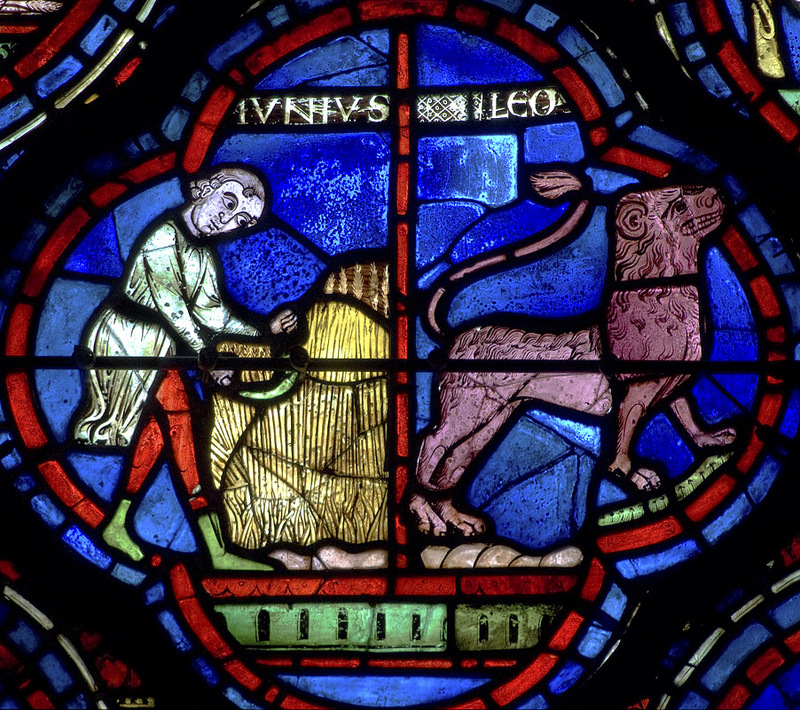 Cancer is the domicile of the Moon, as Leo is the domicile of the Sun. The luminaries are considered to be Peregrine, so in all the aforementioned cases of the four divisions, there is always intrigue. But first and foremost, these times are particularly powerful and should be greeted in the spirit of reverence and celebration, of conscious reception. This moment is a point in a much larger cycle. The Summer Solstice heralds not only Summer itself but the two Royal Signs – indicative of the Queen & King. The Sun and Moon rule only one sign each. These archetypes are particularly powerful and the Summer Solstice sparks celebrations all over the world. It’s also the great pivotal point between the waxing and waning light. Just as Winter Solstice is the longest night, Summer Solstice is the longest day. In a Celtic tradition, a flaming arrow was shot towards the Sun as it rose, adding fire to fire. The Celts had eight major festivals and four of them coincided with the tow Equinoctial and Solstitial periods. The Summer Solstice is called Litha. It was a time of clearing, a time to banish evil spirits to make way for a celebration of the light at its zenith and assure an abundant harvest. Feasting, music, and dancing took place. Bonfires were lit in celebration. Most of the stars in Cancer are relatively obscure and rarely mentioned. 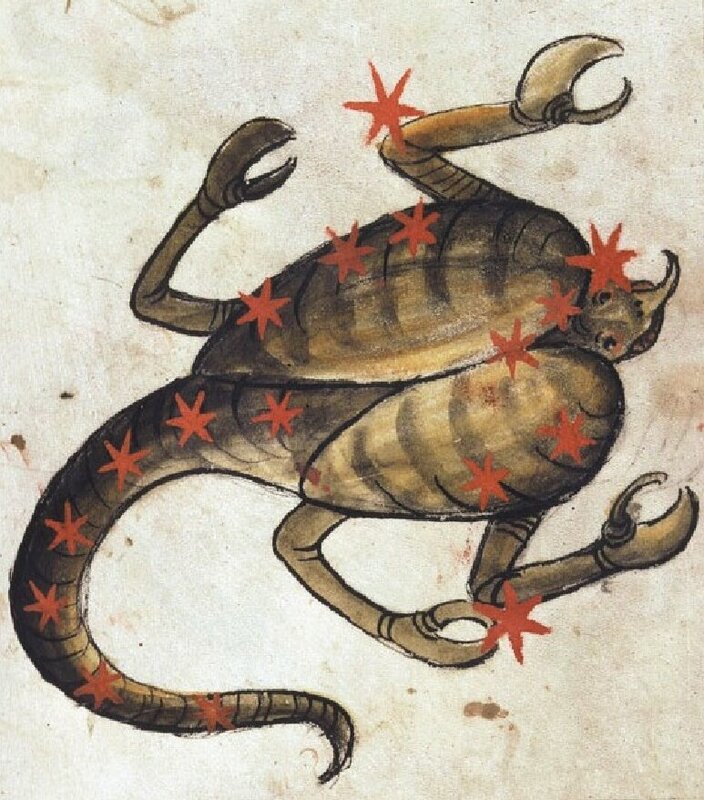 However, the left claw holds the Arabic-named Acumen’s, which translates to ‘the Claw.’ Arabian astrologers also give this name to one of the Lunar Mansions. This should not be confused with two stars in Libra, named Zubenelgenubi, Zubeneshamali, the”Northern Claw” and Southern Claw respectively. The initial portion of Cancer relates to the eighth Lunar Mansion (0 Cancer to 12 Cancer 51) named Aluayra or Al Nathra. In Indian tradition, this Mansion is good for cutting new clothes, for women’s jewelry and putting it on. Rain will bring benefits, not damage, but this is not a good time to travel, except for the third part of the night. Arabian astrologers added that it causes love, friendship, and society of fellow travelers. With all these things in mind, the chart for the exact moment of the Ingress of the Sun in Cancer takes on greater meaning. Recueil d’astronomie et de mathématiques. This is a magnificent crab, even if it looks like someone who never met one. The primary interest of this painting is the positions of the stars that make up the constellation. There are a few salient elements I would like to point out in this chart. Such charts often either lean on the gloomy side or are manically, even blindly, optimistic. Mars and the Moon are never a good mix. 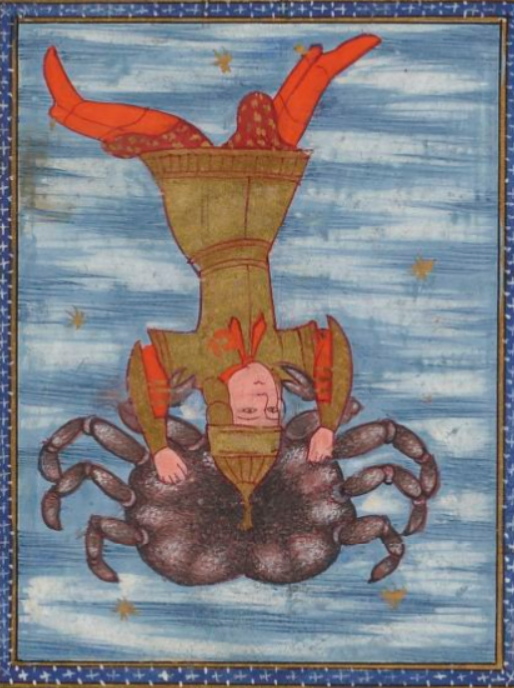 The Moon is Martial Scorpio is in her Fall and Mars is in his Fall in Cancer. Like Saturn, Mars is worst when the most afflicted. In the 7th House, he is an open enemy. He’s in the decanate of Mercury which makes him that much more explosive; nevertheless, something needs to trigger the outburst. This position on a chart for the Pacific coast is prime for a maritime disaster, but nothing on a grand scale, such as a major earthquake. The second focus is the 5th House. The Moon is Exalted in Taurus, with Venus in her Domicile and the Parts of Courage and Necessity. Moreover, Mercury is strong and resilient in Gemini with the Part of Venus (Eros). This is a veritable garden of Venusian creativity, involving Mercury, and the Sun. This ought to be an encouragement to creativity versus negativity, despair or simple lethargy. Jupiter is in the Exaltation of Saturn, but he’s still Jupiter and in the 10th House. The 11th House of Greater Fortune has the Part of Spirit and Victory, but also Nemesis. Human life on this plane is always an admixture of fortunes. The Summer Solstice is a time to celebrate the light in whatever way speaks to you.